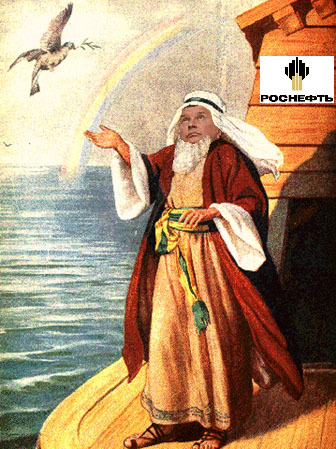 There is no evidence currently available that Deputy Prime Minister Igor Sechin has anything like the hot-line to God which enabled Noah of biblical fame to master the surge of the Black Sea, and with the help of the birdie — the first spy satellite on record – to make it safely to land. What is known about Noah’s Black Sea strategy has been the subject of controversy among believers for several thousand years. More interestingly, since 1997, academics have speculated that during the glacial meltdown between about 15,000 BC and 5,000 BC, the Black Sea level dropped below the level of the Aegean and Mediterranean, causing a surge northward through the Bosphorus. The surge, according to one geological report, was a big one – 200 times the volume over Niagara Falls, each day for 300 days. Other experts think the Big Flood ran the other way, southward out of the Black Sea. And yet others think the evidence points to a series of deluges, running in both directions, over several millennia. The happy end of the story is delivered by the dove, which is sent off three times by Noah for dry-land reconnaissance. The first time, the bird returns because there is too much water; the second time, with a fresh olive leaf; and the third time, the bird doesn’t come back. Noah, who had turned 601 in the meantime, got the message, but hesitated — until God himself intervened, two months later, and said it was safe to disembark. Sechin, who turned 49 years of age in September, and speaks at least three languages, has been Russia’s deputy prime minister since May of 2008. His portfolio is the most important in the government, covering energy production and trade, including gas, oil, coal, and nuclear materials; transportation of energy; pipelines; shipping and shipyards; even river barges and railcars, if they are carrying cargoes that can be burned for energy. In addition, he is the acknowledged supervisor of the mining and metals concessions of the country, and hence of their concessionaires, the Russian oligarchs. This stuff adds up to a larger part of Russia’s GDP than anyone else in government controls, except for Prime Minister Vladimir Putin (and perhaps President Dmitry Medvedev). While there is no constitutional requirement for individual members of the appointed government to be accountable to the Russian parliament – as are the prime minister and government as a whole – the offices of the prime ministry and the State Duma report they do not know of any report or speech which Sechin has made to the elective branch of government. Sechin’s office does not answer questions directly, and refers all inquiries to the press office of the Prime Minister. In the eighteen months of his term, there is no trace of Sechin having given a public press conference, or an unscripted interview. An attempt to oblige Rosneft, the state oil company whose board of directors Sechin chairs, to make a public accounting of its oil trading transactions, was dismissed last year in the Russian courts. In the UK High Court, evidence of how Sechin has run the state oil shipping concession has been disclosed in cross-examination and witness statements. Sechin’s accountability, it should be understood, is of a higher order. Accordingly, when Sechin disclosed in Milan on October 19 that he had made an agreement with the government of Turkey for new routes for Russian gas and oil pipelines, he didn’t explain himself at the time to anyone but the Turks. Since this agreement between Sechin and Turkey’s Minister of Energy, Taner Yildiz, appears to be different from the agreement signed on August 6 in Ankara, in front of Putin and the Turkish Prime Minister, Tayyip Erdogan, the obvious questions are how, and why? All that Sechin allowed to be known is, according to the Komersant version, that “Turkey has agreed to the implementation of the South Stream [gas pipeline] in exchange for participation of Russia in construction of the pipeline Samsun-Ceyhan;” that Russia had agreed to the “ participation of Turkey in South Stream instead of Bulgaria…bypassing Bulgaria”; and that Russia and Turkey have agreed to consider construction of an oil refinery at Ceyhan, and are “close to an understanding of [their] participation in joint marketing of the oil in the pipeline”. Enigmatic though these words may be, they have enormous, and unanticipated strategic significance. On the one hand, it may be supposed that for the first time in the history of Russo-Turkish relations, a Russian government appears to have decided to commit to a strategic alliance with Turkey. Instead of a longstanding history of conflict, and war, over Turkish control of Russian access to the Mediterranean, through the Bosphorus, the Kremlin has decided to commit even more oil and gas resources than have ever flowed through the Bosphorus to Turkish land control. This also implies the elimination of a 15-year commitment to an alternative oil pipeline bypassing the Bosphorus, across the territory of Bulgaria and Greece between Burgas on the Black Sea, and Alexandroupoli on the Aegean. In old-fashioned terms, the Orthodox alliance has been replaced by the Crescent. But that may also mean curtains for the Stars and Stripes, at least at Ceyhan. 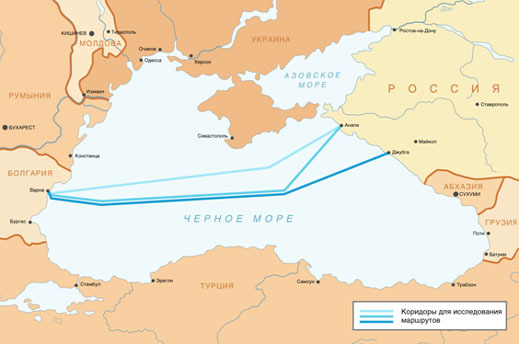 For if Sechin and the Turks have agreed to supply Russian crude oil at Samsun, pipe it to Ceyhan, convert it to petroleum products, and participate in “joint marketing of the oil in the pipeline”, that suggests the possibility of a major Russian oil trader and a major Russian oil tanker fleet taking over the operations of the Ceyhan tanker terminal. What a stroke of political and commercial genius to place two great Russian institutions, Gunvor of Gennady Timchenko and Sovcomflot of Sergey Frank, at the point where, after years of strategizing in Washington, the US had thought it would make the flow of Caspian oil independent of Russian influence! On the other hand, there is an even longer history of Russian suspicion of Turkish intention, and Turkish stability, than there is of the history of Russian rivalry with the US. The Greeks, Bulgarians, and Serbs – the Orthodox alliance – have repeatedly warned the Kremlin against mistaking the short-term commercial benefit on offer from Ankara, with the prospect of long-term security for Russia’s Black Sea interests. In their argument, the rationale for the Burgas-Alexandroupoli pipeline, and the routing of South Stream through Bulgaria, has been to bypass Turkish control of the seaborne routes through the Bosphorus, and to protect the Black Sea from Turkish chokepoint tactics. ought to have triggered understanding in Moscow, if not debate. But to date, this has not occurred in the parliament, the press, or the courts. There is also growing evidence that Gazprom, and its former board chairman Medvedev, were not clear on what Sechin had negotiated in advance, and no clearer subsequently. Just one semi-public clarification has been made. This was on October 22, when Bulgaria’s Energy Minister Traycho Traykov met in Moscow with his Russian counterpart, Energy Minister Sergei Shmatko, and Deputy Prime Minister Sergei Sobyanin. The latter made his career as an administrator of Russia’s Siberian oil provinces; he is currently chief of the prime minister’s staff. According to a Bulgarian source who attended the meeting, the Russian decision to participate in the Samsun-Ceyhan oil pipeline was explained as a calculation of “cost efficiency”. It was not reported to the Bulgarians as a concession exchanged for Turkish approval of the route of South Stream. Argument over the commercial calculations has been reserved to next month, when Putin is due to meet Bulgarian Prime Minister Boyko Borisov. The Bulgarians also left the meeting with Shmatko and Sobyanin unclear on whether Sechin’s change of mind on the route of the oil pipeline will also be accompanied by a change of route for South Stream. They believe that a fundamental change of Russian strategy is under way. The Bulgarians also think the Russians are making a mistake. Most energy industry analysts in Moscow have missed this point. They say they believe that the Samsun-Ceyhan pipeline was the condition the Turks imposed, in order to give the Russians the go-ahead to lay South Stream on the Turkish sector of the seabed. However, there is no evidence that this is what happened. Sources in Moscow agree that the routing of the new gas pipeline must skirt the 12-nautical mile (22.2 km) territorial limit of the Ukraine to avoid more political trouble with Kiev. However, at the narrowest point between the Ukrainian coastline at the Crimean peninsula, and the Black Sea coast of Turkey, around Inebolou, the sea is 280 kms wide. 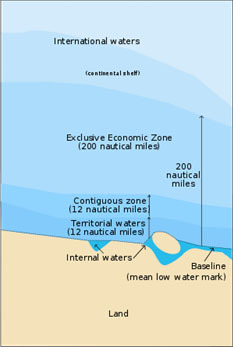 Subtracting 12 nm (22.2 km) for the Ukrainian and Turkish territorial zones leaves a stretch of international water of about 235 kms. It makes obvious sense for South Stream to be laid beyond the Ukrainian EEZ, and that puts it clearly on the seabed in the Turkish EEZ. The Ankara protocol of August 6 evidently allowed for exactly that. According to Gazprom and the sub-sea pipeline builder Saipem, parts of the Blue Stream route, which started delivering Russian gas to Turkey in 2005, are among the deepest ever used for pipelines. Sources concede therefore that there is no technical reason why the proposed South Stream must be diverted into Turkish territorial waters, to the south of the EEZ, and at a greater distance and project cost. Current estimates for South Stream put the price tag of the entire project at about $13 billion. Asked what it knows of the details of Sechin’s October 19 agreement, Gazprom has claimed that the reports to reroute the South Stream gas pipeline on to Turkish territory do not mean that Gazprom has decided to lay a land segment of the pipeline in Turkey, and bypass Bulgaria altogether. The doubt in that last line is challenged by the Bulgarians, who claim they have already signed commitments with Putin to lay South Stream across Bulgarian land territory. Hours after Sechin announced his Black Sea move, embracing his Turkish counterpart Yildiz in the process, Gazprom’s CEO Alexei Miller was in Belgrade, Serbia, along with President Medevedev, to agree on funding and building the Serbian section of the South Stream project’s northern branch; and also to establish a major gas storage in Serbia. The regular news wires reported that Turkey’s President Abdullah Gal had telephoned Medvedev there, to inform him of the decision to allow the Russians to survey the Turkish sector of the Black Sea. “The Turkish president said that the Turkish government had taken all the necessary decisions to give permission for geological and explorative work in Turkey’s economic zone of the Black Sea for the South Sea gas pipeline,” Reuters quotes a Kremlin statement as explaining. Note that the “economic zone” referred to in this report may not be the same stretch of seabed as Turkish territorial waters. Turkish Embassy sources in Moscow won’t say which President Gal’s telephone call meant. In Ankara, calls and emails to Yildiz requesting clarification of the differences between routing through the EEZ and the territorial zone, and between the August 6 and October 19 agreement, have gone unanswered. Putin and Shmatko were asked the same questions. They also refuse to respond. On October 22, Gazprom announced that Miller had met with Eni’s chief executive, Paolo Scaroni. But their communique had almost nothing to say about the routing options for the South Stream pipeline. “The plan of further actions connected with building the marine part of the gas pipeline has been considered,” Gazprom said of the meeting.Eni spokesman Filippo Catalini says the agreement between Turkey and Russia to allow the route of South Stream to pass through the Turkish EEZ was the one signed on August 6. Eni, which is Gazprom’s partner in South Stream, is evidently not endorsing a change of route for South Stream into Turkish territorial waters, on on the Turkish shore. 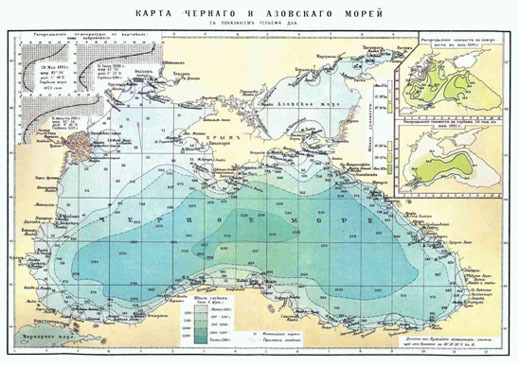 Professor Alexander Kovalev is the expert on the Law of the Sea and Russian maritime law at the Diplomatic Academy of the Russian Ministry of Foreign Affairs. He says that an international maritine convention of 1982 requires a country laying a pipeline on the continental shelf of another country to coordinate the route between them. But he noted that in Russia there is no constitutional requirement for the Russian government to notify parliament, or apply for its ratification, if agreements are signed on seabed issues, including the Black Sea EEZ borders, or route changes of South Stream. Adding to the confusion which Sechin has set in motion, LUKoil, Russia’s second largest oil producer and exporter, says it has no interest in supplying crude oil for the proposed Samsun to Ceyhan pipeline. Until now, the Kremlin has refused to countenance proposals for Russian crude to be delivered across Turkey, either for refining in country, or for export at Ceyhan. In 2007, LUKoil had tried, but failed to get Turkish and Russian government agreement for a new refinery at Zonguldak, on Turkey’s Black Sea coast, 400 kms to the west of Samsun. Sechin claimed in his October 19 announcement that LUKoil is interested in supplying the new Samsun-Ceyhan pipeline. But LUKoil’s subsequent statement is a categorical denial. A Rosneft spokesman says that it is joining the Sechin oil pipeline plan, along with the Russian pipeline company Transneft, Eni of Italy (which had originated the project in 2005, when there was no Russian crude to fill it), and the Calik Holding of Turkey. Rosneft is as categorical that it wants to participate, as LUKoil is in refusing.